A dancer, a realtor, an architect, a planner and an theater director walk into a room. It's not a joke. People in these professions will gather in a classroom as part of this year's incoming class of the Certificate in Creative Placemaking program. They hail from 11 states and represent most regions of the country. They are recent college graduates, mid-career professionals and seasoned experts. "There's a palpable energy and excitement," said Chris Archer, who co-produces the program for the New Hampshire Institute of Art in collaboration with The National Consortium for Creative Placemaking. "We again are seeing a wide range of professional sectors being represented. This year's group seems to really understand that creative placemaking is not just a trendy term from Wikipedia. It's a craft and a craft that needs to be learned." Archer is Associate Dean of Community Education at NHIA. This is the second year of the partnership between NHIA and NCCP. 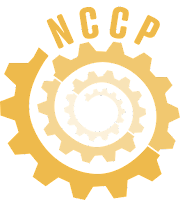 The certificate program was created by NCCP Executive Director, Leonardo Vazquez, PP, and was offered before by Rutgers University and Ohio State University. The program is designed for busy people. Students begin with three days of hands-on workshops in New Hampshire. That portion is followed by online instruction and coaching and culminates in the production of a capstone project by each student, a real-world application of creative placemaking strategies. Students will arrive at NHIA in September from Georgia, Kentucky, Mississippi, New Jersey, New York, Ohio, South Carolina, Wisconsin, West Virginia, California, New Hampshire and the District of Columbia. Their job titles include the following: director of dance at a state university; executive and artistic director of a theater company; a senior planner of a mid-sized city; a destination branding consultant; a project coordinator of a large metropolitan transit authority; and a studio artist. The New Hampshire Community Development Finance Authority is providing five scholarships for New Hampshire residents this year. "We have seen first-hand that integrating arts and culture in our communities can be transformational," wrote Executive Director, Katy Easterly Martey. "We are excited to host a new and impressive class of fellows and look forward to seeing how the program enables them to lead inspiring work that will make a difference in New Hampshire." In fact, many of the students are being sponsored by their employers; municipalities and other organizations, said Archer. "It's impressive to see that these organizations see this as an investment," Archer said. John Sullivan, a Montclair, NJ resident, high school science teacher, and vice president of Bike and Walk Montclair. Sullivan's capstone project will change the character of Montclair's bustling downtown, when two parklets will temporarily replace parking spaces and serve as a spot to gather, perform, and make art until the cooler weather arrives. He wrote in his final paper that he valued what he learned about group facilitation, communication and dynamic and community-driven process. "It was the skills I learned ... that are most directly responsible for me being able to take my tactical urbanism work to the next level!" wrote Sullivan. Five seats remain in the program as of this writing.